Almost daily we hear news stories about new health-related research findings. Some make claims about how effective a product or treatment is while others cause fear. You don’t have to be an expert to make sense of media stories. Here are some ways to help you makes sense of the article. Has the study been conducted with people? Laboratory or animal research is useful, but unless tested in people, there’s no guarantee that it’s safe for human use. How many people are included in the study? The larger the study, the better. What method was used in the study? Randomized controlled clinical trials give the most useful information about whether a treatment or a lifestyle change is effective. What is the context? The research should be in line with previous studies. Results repeated several times appear to be more valid. Read beyond the captivating headlines. Be cautious about claims of “proof”, “cause” or “cure” or absolute recommendations based only on one study. Consider the source. Credible research is conducted by a respected scientific or medical expert and published in a reputable, peer-reviewed journal. 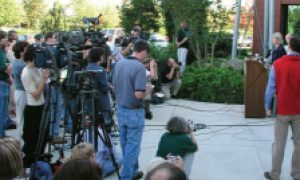 Check with local professionals and experts about the credibility of the news story. Communicate your concerns about a topic with your doctor, pharmacist, librarian or health organizations; they can give helpful advice. Is it Alzheimer’s or just age-related memory loss? Ottawa Hospital ‘lost’ Alzheimer’s patient five times in one week, wife says. Has Biogen found the ‘Goldilocks’ dose for Alzheimer’s drug? Is It Forgetfulness, Or Is It Something More? Can MPs find the courage to debate the right to die? Can a new test to identify the likelihood of Alzheimer’s lead to better treatment? Yogurt – food for thought? 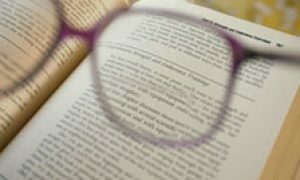 Could Alzheimer’s be diagnosed with an eye test? Coconut oil: is there any truth? Intimate Documentary Explores Spirit of the West singer’s journey with Alzheimer’s. 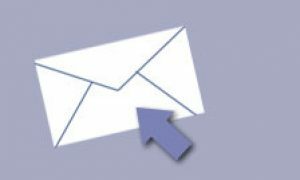 Our Newsletters help to educate and inform the public about dementia and the essential programs and services we offer. Please enter your contact information and check the educational and fundraising events you would like to know more about. Members of the media are encouraged to use any of the information contained on our website.